I suppose it would have been too much to expect Danny Boyle (director of Trainspotting, Sunshine, and Slumdog Millionaire), of all people, to allow the camera to just simply observe Aron Ralston's near-death experience trapped under a boulder for five days that culminated with him severing his own arm to survive. But in an effort to satiate an imagined audience member who couldn't bear the thought of an entire film taking place in one location, Boyle has gone way too far with his approach. There's nothing wrong with portraying Ralston's circumstance from his point of view, examining the memories, thoughts, sounds, and fears as they play out in his head, but there comes a point a which Boyle goes beyond the line here and starts to deny us the reality of Aron's situation. The result is a surprisingly likeable, but very problematic film. What purpose, for example, do the shots showing the workings of Aron's camcorder serve? What of three angles on a faucet splayed across the screen in panels, like a comic book? What does the freight train of music, especially towards the end, tell us? 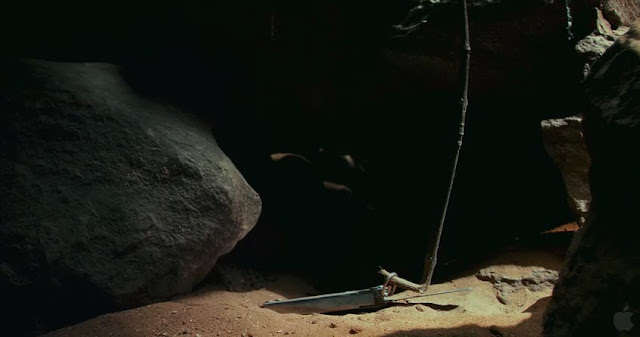 At the climactic moment, in which Aron has to cut off his own arm to escape (spoiler alert, in case you didn't know why the movie exists), why so much with the action-movie score? Danny Boyle's entire approach to filmmaking has often been a propulsive one, often denying the audience a chance to come to their own conclusion about his characters' actions, but here he sacrifices the very meaning of his film, using montages and music to convey what he should, with the many, many tools at his disposal, be able to use the cinema for. Temperatures in the desert can vary wildly, from scorching summertime at noon to a bitter winter at night - in order to convey this, Boyle puts a thermostat onscreen and watches the numbers count down. When Boyle (who also co-wrote the screenplay with Simon Beaufoy) needs Aron to come to a conclusion about himself or his circumstances, he has him say it out loud. No doubt, when trapped in one place for any extended period of time (increasingly for my generation, about an hour will do), one's mind will tend to wander, and for the most part Boyle's free-associative editing style proves an effective way to convey the film's take-home message: That Aron would be a better person if he'd just be willing to let someone in. 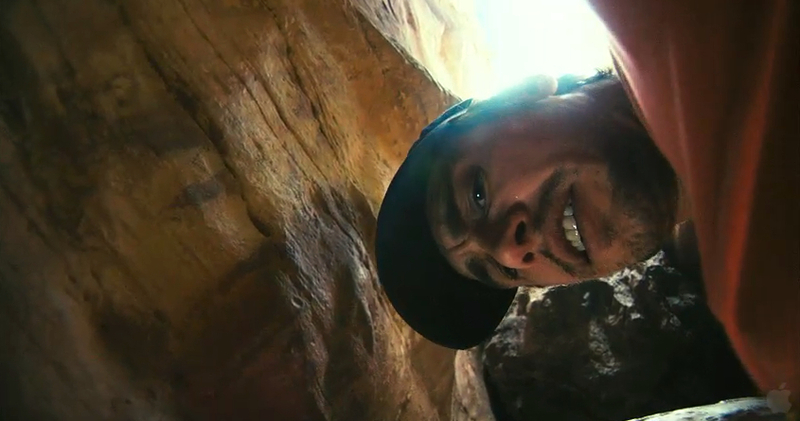 It's the kind of reductive approach to an extreme encounter with nature that nearly crippled Sean Penn's excellent Into the Wild in 2007, though 127 Hours fares a little worse. On a basic level, yes, Aron probably wouldn't have been left to die if he'd just told somebody where he was ahead of time, but I'm not sure the film is as successful at convincing us that Aron would be a happier person if he was in a relationship of any sort (it's telling that the film tries to link this epiphany to Aron meeting the woman who would become his wife...three years later). And yet it is a compulsively watchable film, which is higher praise than it sounds. There's an old adage, coined by Robert Warshow, that goes "A man watches a movie, and the critic must acknowledge that he is that man." Warshow was reconciling his love of Humphrey Bogart movies with the knowledge that they aren't exactly high art (most of the time), and here I call attention to it to say that, yes, I liked 127 Hours as far as it went. It seems strange to call it a piece of entertainment, but that is basically the level it worked on (though not nearly as assured or as brave as Rodrigo Cortés' Buried, also about a man trapped in a confined space). It is a movie made to be watched, though not digested. It features a very fine performance from James Franco, well deserving of the Oscar nomination that will hopefully come his way. The cinematography is lush and gorgeous (as one would expect when Anthony Dod Mantle's name is attached to that department), giving you the best view of the Utah landscape next to seeing it for yourself, and the editing razor-sharp. But in thinking about it over the last week and change, it just doesn't hold up. Its reach is beyond its grasp - its themes do not land conclusively, and as a study of survival (mental, physical, or spiritual), it's cursory at best.